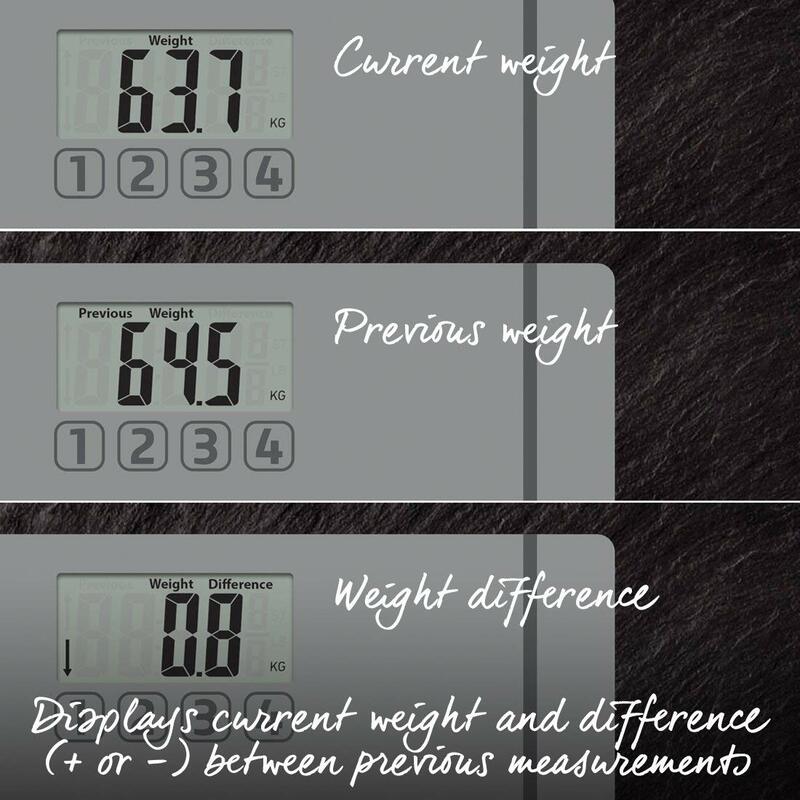 Ideal for those who want to keep an eye on their weight, this Memories Scale also shows you the difference between your current weight and your previous weight measurements! 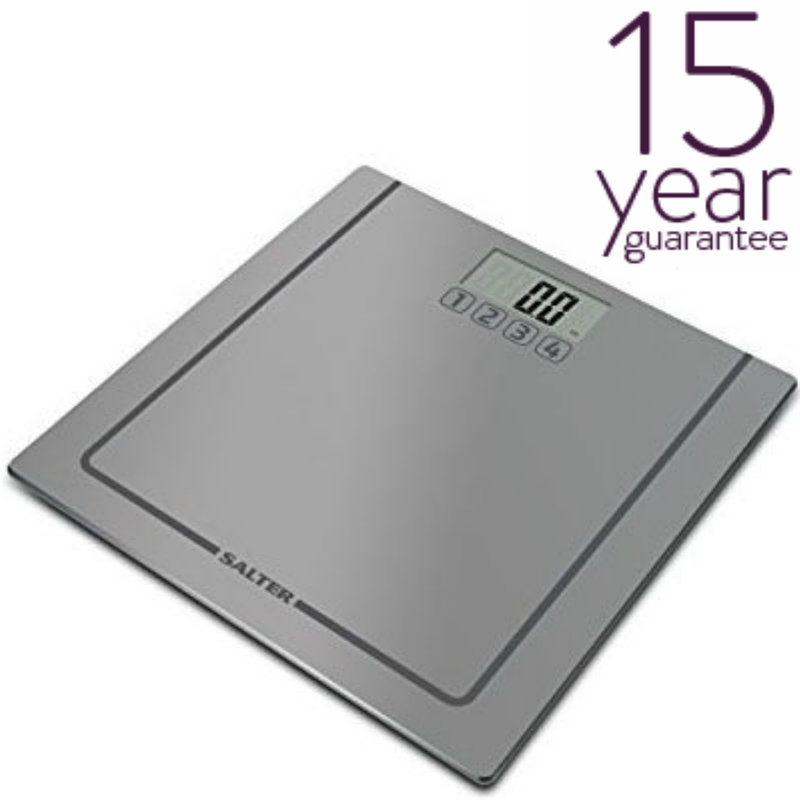 Detailed with helpful up and down arrows, you can quickly tell how well you’re progressing. Track your weight with ease as the memories scale stores your weight readings within your user and inside the scale. 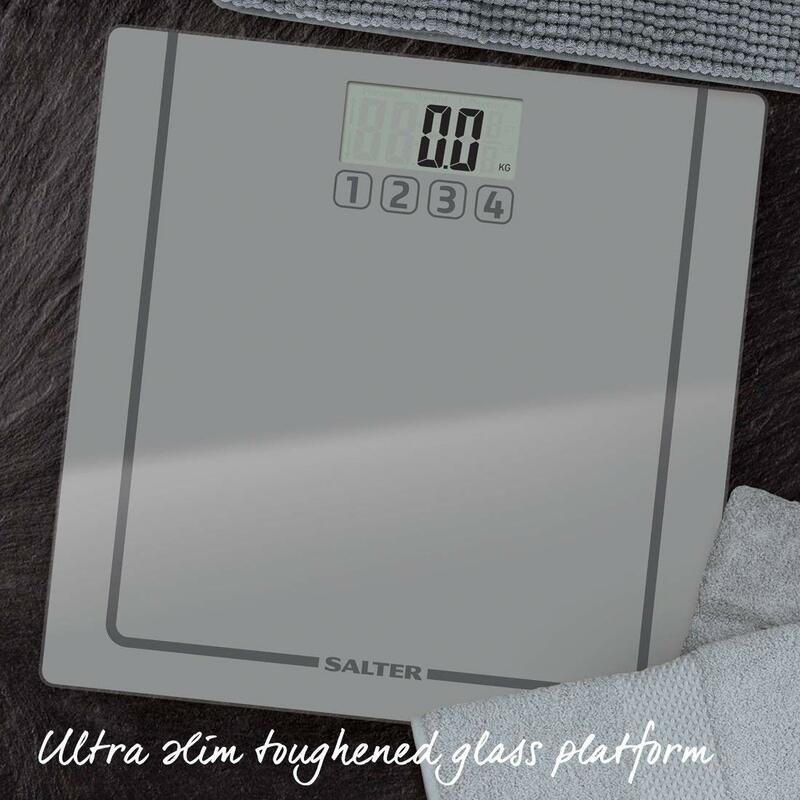 No need to faff about with entering personal details or external weight tracking systems, simply select a user and get started. 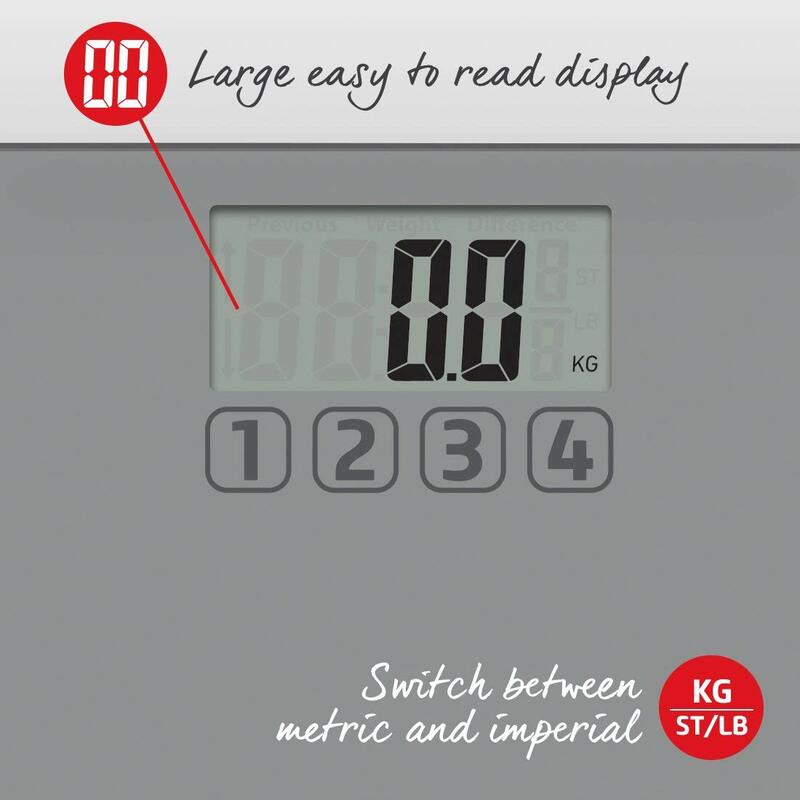 This makes it so simple to get the information you really need without hassle. 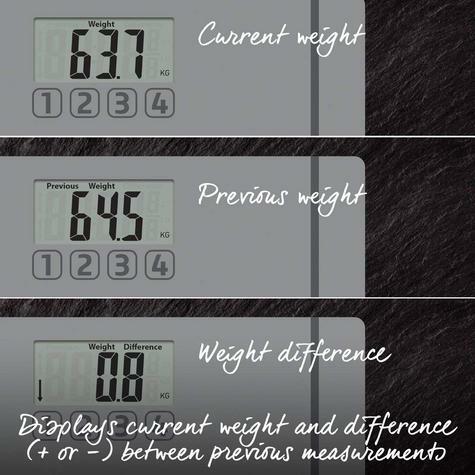 No more squinting to see your weight measurements. 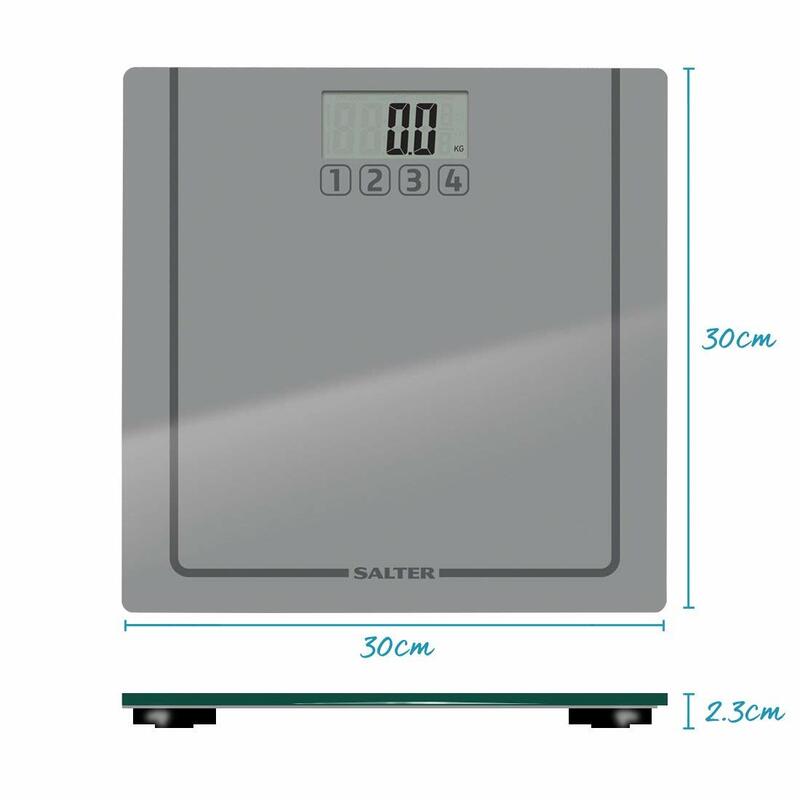 The LCD display is large and easy to read to allow you to see your measurements without difficulty. 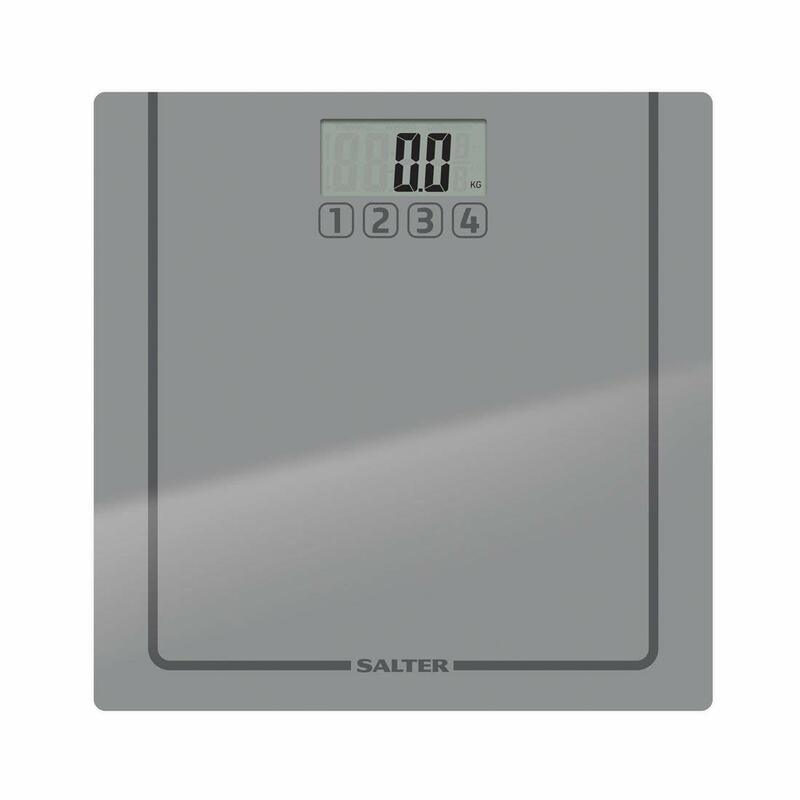 Fuss-free weight management. If you are looking for a stylish bathroom scale that gets straight to the point, look no further. 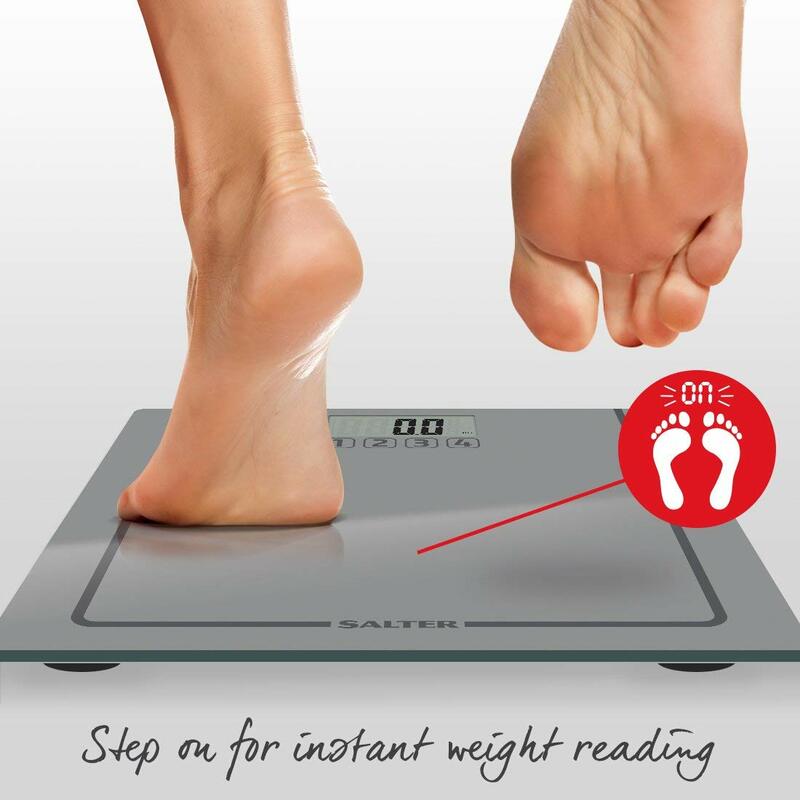 Simply step on the scales for instant weight readings. 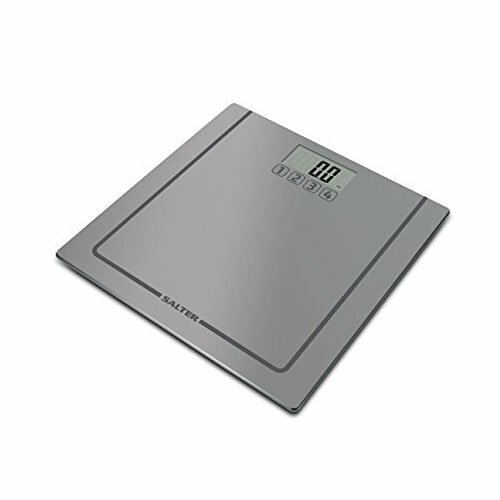 Track your weight with ease as the memories scale stores your weight readings within your user and inside the scale, so you can tell how well you're progressing.